Tom Kaye got started in this line of work when he was young by working for his father's model home interior design company in Chicago. While attending college, an opportunity arose that allowed him to sell home furnishings to many young and ambitious interior designers in the area. Through his dedication and perseverance, he was hired for a position as the president of a company that sold and installed window coverings in Fresno, California. 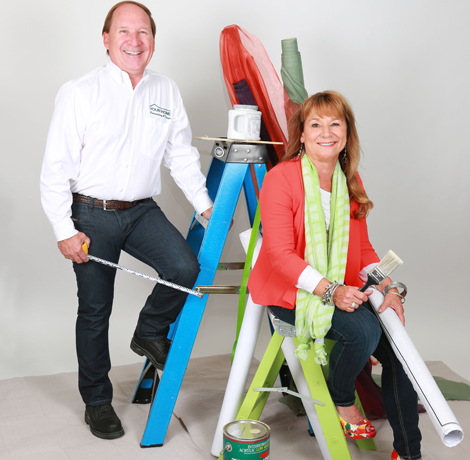 He and his wife, Sandra, an accomplished interior designer, ultimately decided to go into business for themselves by combining their respective areas of expertise and experience into Your Home Remodeling & Design. Tom became a general contractor and professional builder in order to serve local clients who need to remodel or finish their homes. Tom and Sandra Kaye wanted to help their community by establishing the St. Francis Homeless Project in 2010. This 501(c)(3) non-profit organization provides local women in the area with a work recovery program that allows them to find many unique opportunities to improve their life circumstances through their own efforts and determination. In order to continue raising money for this organization, Tom and Sandra also produce and sell their own popular, all-natural dog biscuits throughout Fresno to fund their efforts.